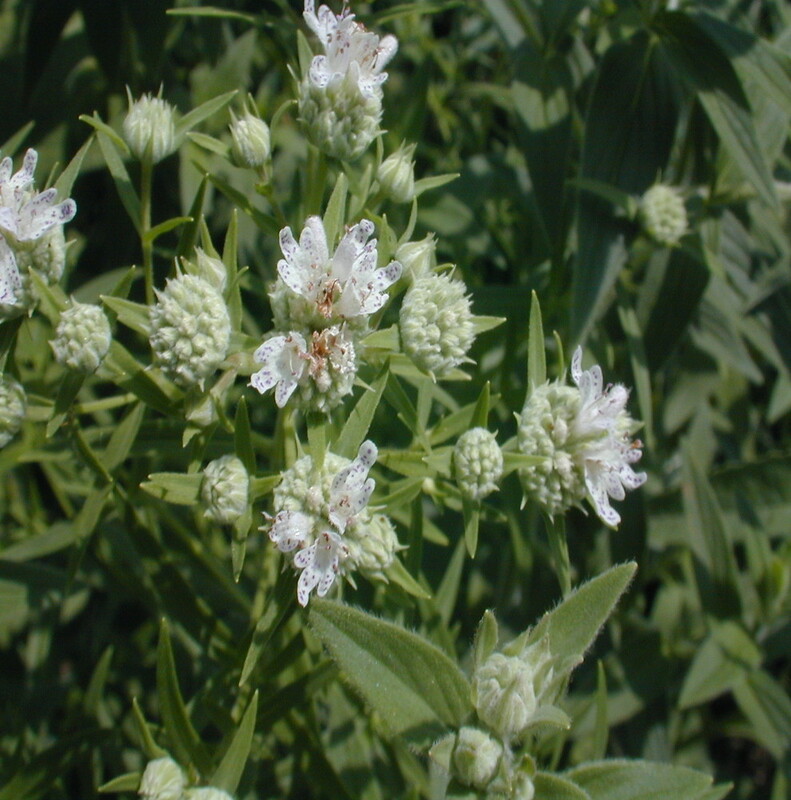 Whorled mountain-mint is native to much of the eastern half of North America. There are two varieties, both of which occur in New England. This species can be difficult to separate from clustered mountain-mint (Pycnanthemum muticum) except on the basis of leaf blade shape. Since this character tends to be variable, examining multiple individuals may be helpful. 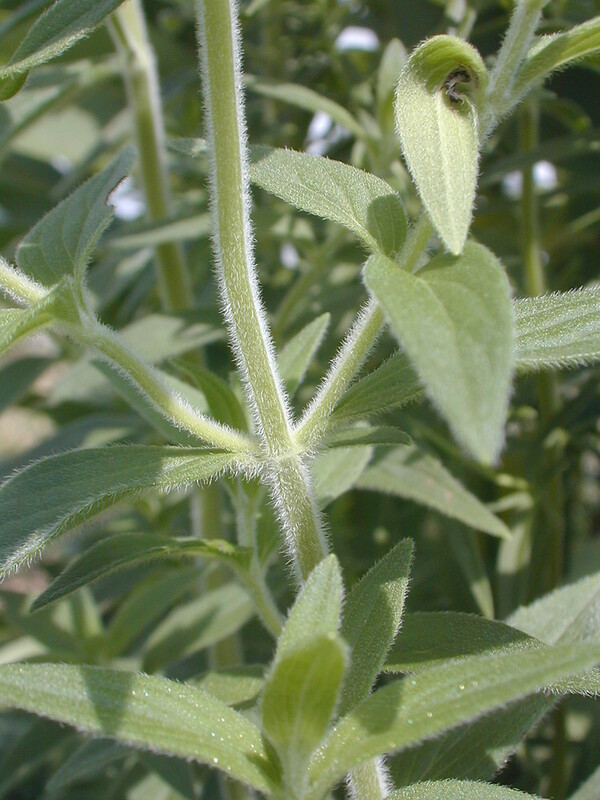 bracts and leaf blades glabrous on the adaxial surface or sometimes with minute, stiff scabrules on the adaxial bract surface (vs. P. verticillatum, with the bracts, and often also the leaf blades, pubescent on the adaxial surface with minute, soft hairs that are best viewed at 20x). bracts and leaf blades glabrous on the adaxial surface or sometimes with minute, stiff scabrules on the adaxial bract surface, and stems pubescent primarily on the angles (vs. P. verticillatum, with the bracts, and often also the leaf blades, pubescent on the adaxial surface with minute, soft hairs that are best viewed at 20x, and stems pubescent on the faces as well as the angles). Variety pilosum is known from CT, MA. 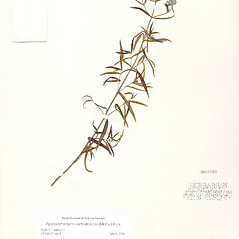 Variety verticillatum is known from CT, MA, RI, VT; also reported from ME by Magee and Ahles (1999), but specimens are unknown. whorled mountain-mint. 5a. Koellia pilosa (Nutt.) Britt. ; Pycnanthemum pilosum Nutt. ; 5b. Koellia verticillata (Michx.) 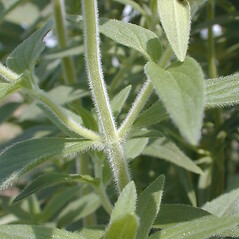 Kuntze; Pycnanthemum virginianum (L.) T. Dur. & B.D. Jackson ex B.L. Robins. & Fern. var. 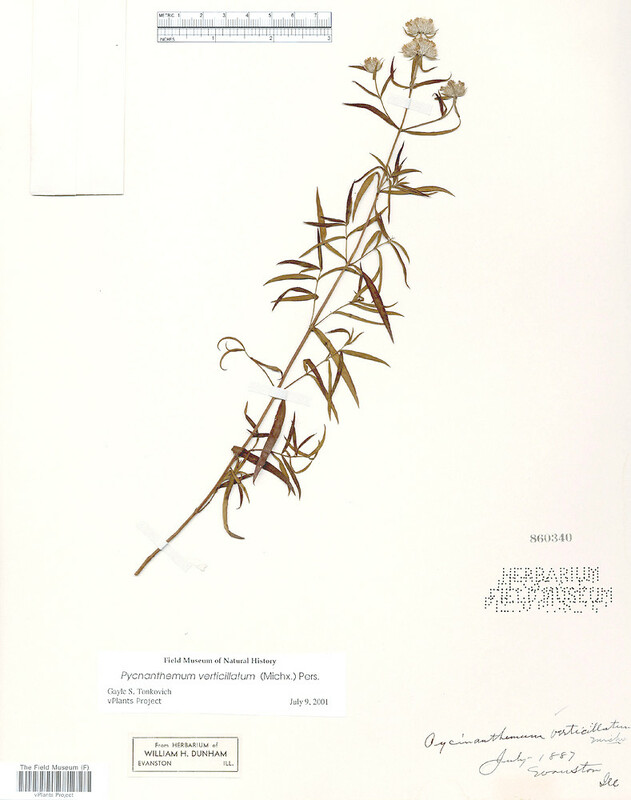 verticillatum (Michx.) Boivin • CT, MA, RI, VT; also reported from ME by Magee and Ahles (1999), but specimens are unknown. Mesic to wet-mesic forests, fields, meadows, and roadsides.